Addressing trauma-related symptoms, including dissociation, anxiety, panic, depression, anger/rage, shame, avoidance, insecure attachment, hyper- and hypo-arousal, grief and loss, chronic stress, etc. Sessions on the ground feature a combination of EQUUSOMA™ equine-assisted trauma recovery (integrating Somatic Experiencing and attachment-focused work), integrative and trauma-focused Equine-Facilitated Wellness (EFW) as well as psychodynamic therapy, mindfulness, somatic touch work, and parts work (for personality fragmentation). Both Sarah Schlote and equine professional Cait Grossman-Bond have undertaken training in the Natural Lifemanship approach to Trauma‑Focused Equine-Assisted Psychotherapy, which includes interactions on the ground and on horseback, with a goal of building a connected and attuned attachment relationship of co-regulation with horses. Sarah has also completed many years of training in somatic touch work for nervous system regulation, trauma release, body memory renegotiation, early developmental trauma work, and attachment repair. Sessions on a treatment table in proximity to horses provides an opportunity to experience this particular approach to trauma recovery surrounded by nature. Sessions are either 60 or 90 minutes in length, depending on availability and goals, and take place year-round. No prior horse experience is required. Since sessions are held at a frequency of every 2-4 weeks, in some cases we encourage clients to have another therapist that they see on a regular basis for follow up and integration. If you are not an existing client of Sarah‘s at The Refuge, she is happy to communicate with your existing therapist to align treatment goals, with your consent. Please contact Sarah to determine availability and discuss next steps. An initial intake session in office is typically required before beginning sessions at the farm for clients that are not currently accessing services at The Refuge. Sarah partners with other practitioners to co-facilitate retreat workshops for clients who are interested in a mini-intensive. 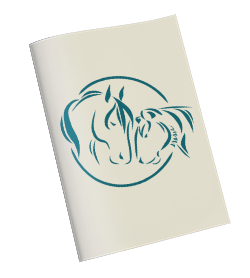 These retreats are typically held over a weekend, from 9am to 4pm daily (hours may vary in certain cases), and group sizes are kept small out of respect for the comfort of the human and equine participants and to ensure a more personalized experience. For more information, please see the Events Calendar for details.